Well let me tell you something, Mean Gene! There's a nasty rumor going around that Hulk Hogan doesn't know how to wrestle, and that Hulk Hogan NEVER knew how to wrestle! Well I'm here to tell ya, BROTHER, that's a bunch of garbage, DUDE! You don't need to say your prayers, BROTHER! Forget the vitamins, DUDE! All the little Hulkamaniacs out there need to do if they wanna drop a leg on that heinous rumor is watch his work in Japan, BROTHER! 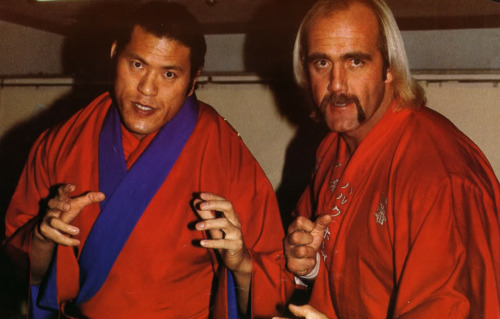 Whatcha gonna do when HULK HOGAN and Japanamania run wild on YOU? Hulk Hogan is a legend. Ok, so maybe he's not a perfect human being; history has taught us that heroes almost always fall from grace because we're all just people. No, I'm talking about the WWF superstar who tore off his yellow shirt every single week to the tune of "Real American" and fought for truth, justice, and the American way. That guy is a legend. His meteoric rise to fame in the 1980s was a thing to behold, and may still be the definition of Pro Wrestling at its best for a lot of people. But there's been a backlash against the Hulkster in recent years. That's not surprising, as there's always a backlash. If someone or something is loved and appreciated, there are going to be people saying they're overrated. If someone or something is not loved, there are going to be people who say they're underrated. It's just what we do. We lift up from the bottom and we knock down from the top. So Hulk Hogan, even before his personal trouble in recent years, was becoming the punchline of wrestling fans who volleyed claims against him that he was a cartoon character who never knew how to wrestle. Cartoon character? Yes, that's true, both literally and metaphorically. But he definitely knew how to wrestle. It's hard to get this sometimes when you watch some of his matches from the '80s. 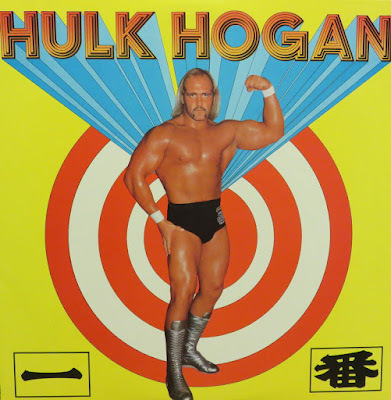 They were formulaic (most WWF matches were) and usually short, with him getting beat up for a while, "Hulking up" and therefore becoming immune to any damage inflicted upon him, and then giving his opponent a boot to the face followed by a leg drop. 1-2-3 ding ding. What we sometimes forget is that most of the matches we saw back then were on shows like Saturday Night's Main Event or Superstars of Wrestling. Those clashes were what we would now call "squash matches" in which the WWF superstars would cream their opponents, who were always enhancement talent, aka "jobbers." The "job" of these guys was to make the superstar look good. Hopefully, whenever it was time for a supercard event like Wrestlemania or Survivor Series, the matches would be longer and have more nuance. They would NEVER be brutal, though. Not in Hogan's era. The WWF was way more family friendly back then than it is even today, and the idea was to sell these 'roided up bodybuilders as heroes to families. 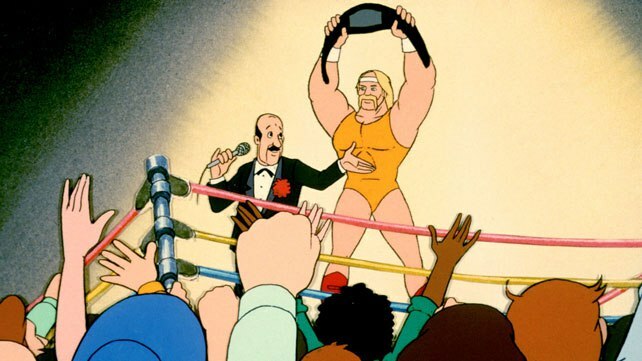 Hogan may not have shown what he was capable of in the ring because he just never had to. Coupled with the WWF house style, you've got a guy that rarely lived up to his potential while in the biggest company in the world. Recently I've been watching a bunch of his stuff from Japan, and it's been eye opening. I got my hands on a DVD (this DVD), which has three discs worth of Hogan wrestling in Japan beginning in 1980 and going all the way up to 1993. 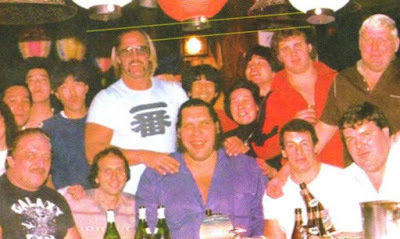 Western wrestlers working in the East is nothing new, but it does offer us an insight into Hogan's ability pre-WWF. A lot of these matches are available on YouTube, though the DVDs themselves have great quality and are very clear, more so than what's on the internet. They reveal a young, hungry wrestler who was willing to work hard and get his hands dirty. I've seen stuff I never thought Hogan was capable of. Tons of mat wrestling, working holds, stiff punches, chin locks, stuff like that. Every now and then he'll drop an elbow or a leg, but it's not his go-to move. What's even more surprising is that he's really quick on his feet, which is impressive for someone as big as he is. For a giant (which he definitely is), he has a lot of great moves and a good speed that I don't think really came through in his WWF work, which was more of a performance, or a show. His opponents are surprising, too. He had early '80s matches against Dusty Rhodes, Stan Hansen, Sgt. Slaughter, and a really bloody match against Abdullah The Butcher, which is hard to watch, and this is all prior to his defining run with the WWF. He even had a feud with Andre the Giant which culminated with Hogan "body slamming" (more like a scoop slam) Andre, FIVE YEARS before they clashed at Wrestlemania III. Some of the more enjoyable matches come from his wrestling Antonio Inoki, the founder of New Japan Pro Wrestling. These bouts have a different feel to them with a more technical focus, which Hogan is able to hang with. 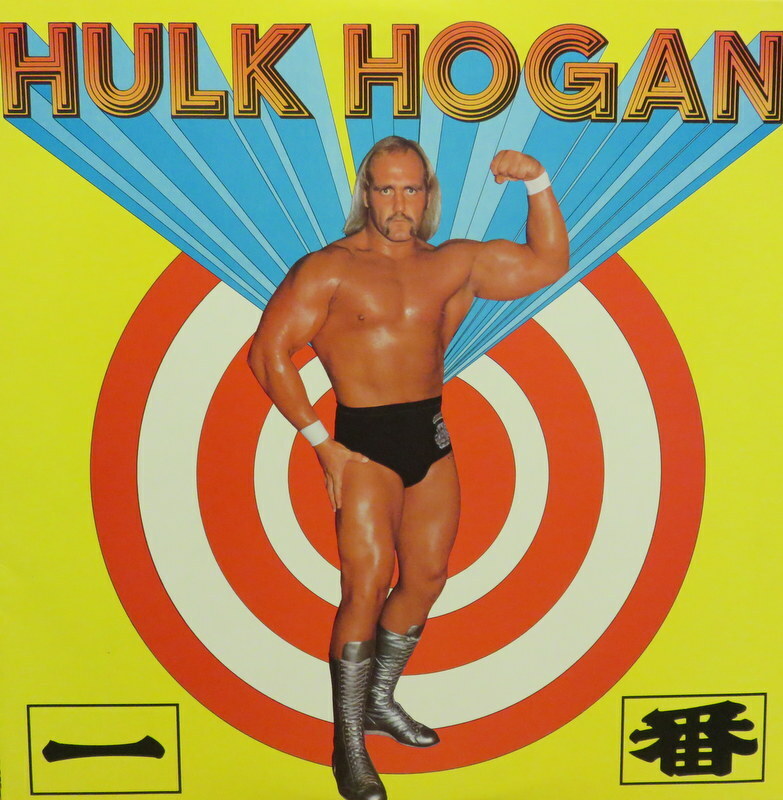 Because New Japan Pro Wrestling is very different from American wrestling, there are no lengthy promos in which Hogan has to talk about vitamins and prayers. The storytelling is done in the ring. All the commentary for these matches is completely in Japanese, but it doesn't matter; you can totally tell who is the good guy and who is the bad guy. It's easy to follow the story the wrestlers are telling, which is a nice change from the American feuding style where there's always some silly grudge about disrespect, or a master plan to get the title that rivals something from a comic book. Hogan even looks different in Japan. The deep brown tan that he's known for and that makes him look like a well-oiled saddle is completely absent. He isn't as blonde in the earlier matches, either, and he rarely wears yellow, except for a few times, one of them being when he comes to the ring in his Rocky III crew jacket. This is also a Hulk Hogan who will seemingly bleed at the drop of a hat (or blade). We're so far removed from that style of wrestling now that it's really shocking when you see that red start to flow, but it flows pretty freely in a lot of these Japanese matches from the 1980s. Witness Hogan bashing his knuckle into Andre's forehead to open it up. Witness him biting Abdullah the Butcher on the side of the head (hopefully pre-hepatitis Abdullah). Witness Andre grabbing the ring bell and beating Hogan to make him bleed the hard way. There's even a match against Dusty Rhodes where a guy comes out with a samurai sword and proceeds to legitimately hack at Dusty, cutting him open. To quote a KISS song from the same era, these are crazy, crazy, crazy, crazy nights. Long story short, Hogan didn't wrestle these kind of matches in 'Murrica because he didn't have to. A hometown crowd filled with little kids in yellow "Hulkamania" shirts would have been horrified by some of this stuff and bored by the rest of it. "Daddy, why has Hulk been holding on to that man's arm for five minutes?" The point is that he COULD do it, it just didn't fit the market at the time. Furthermore, when things loosened up in America in the late 1990s and early 2000s, he put on some pretty great matches. I submit Hogan Vs. Mr. McMahon from Wrestlemania XIX as evidence of impressive wrestling that didn't have all the cartoony crap in it. Facts are facts. Hulk Hogan is one the biggest star in all of wrestling, even now. While he's fallen from grace in the last few years, I have no doubt that he will one day be back in the limelight. He was a household name for decades, and even people who didn't follow wrestling knew who he was. He didn't get there by himself, but he also didn't get there without having any talent. Non one will ever say that he was the best wrestler, but there's pretty solid proof that he was far from the worst.